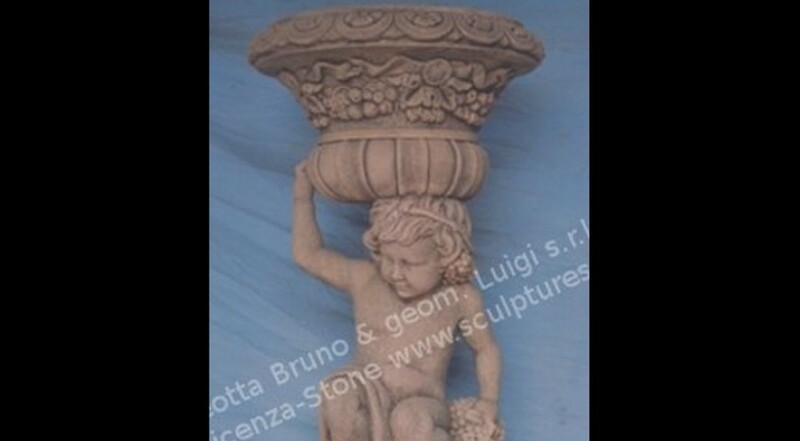 A great Tuscan Cherub with planter on top, original design in a Florence place. Decorated round base with a typical classic decoration of the 18th Century. A cherub with on top a planter with garland fruits and drapes decorations, all around on the vase the ovules details. Dimensions: Total height 49 1/2" x Diameter 21 1/2"